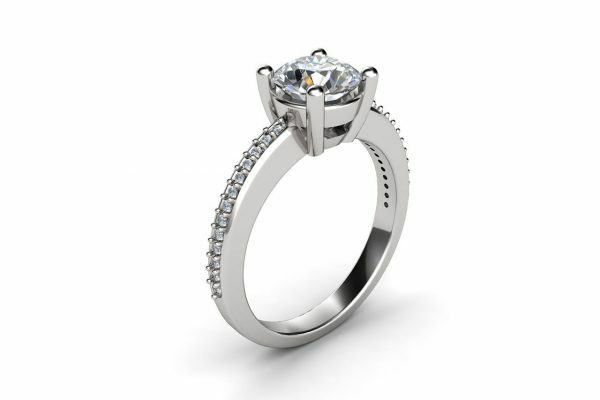 A unique diamond set engagement ring. 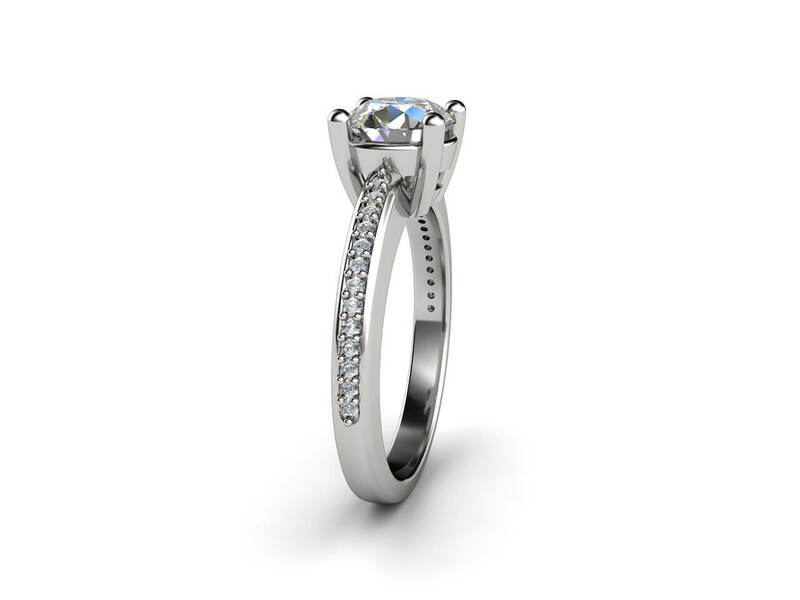 A stunning design with grain set diamonds half way down the band. 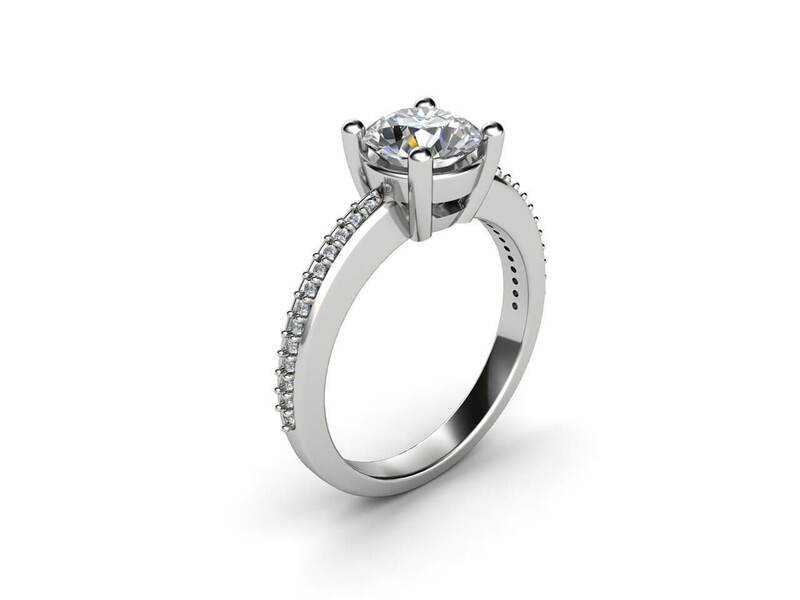 Four gold claws lift the central round diamond. 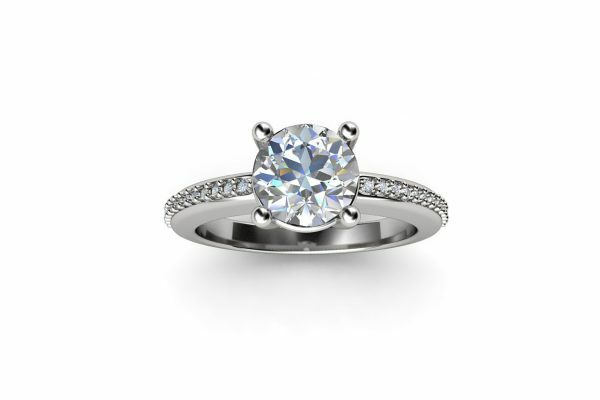 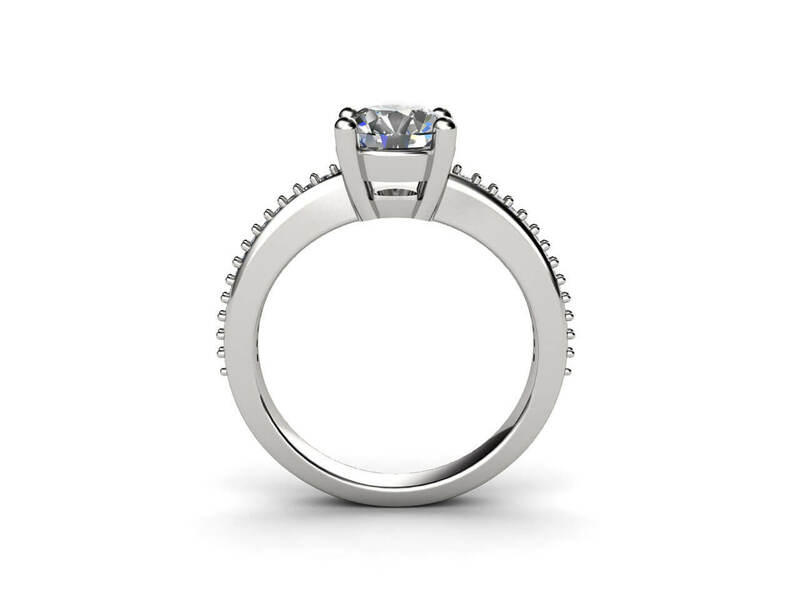 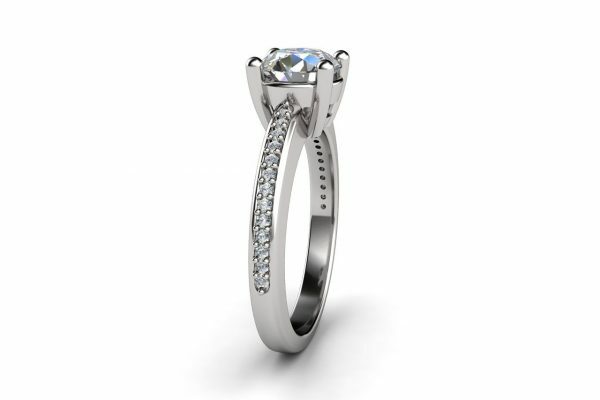 This custom-made engagement ring is timeless and beautiful. 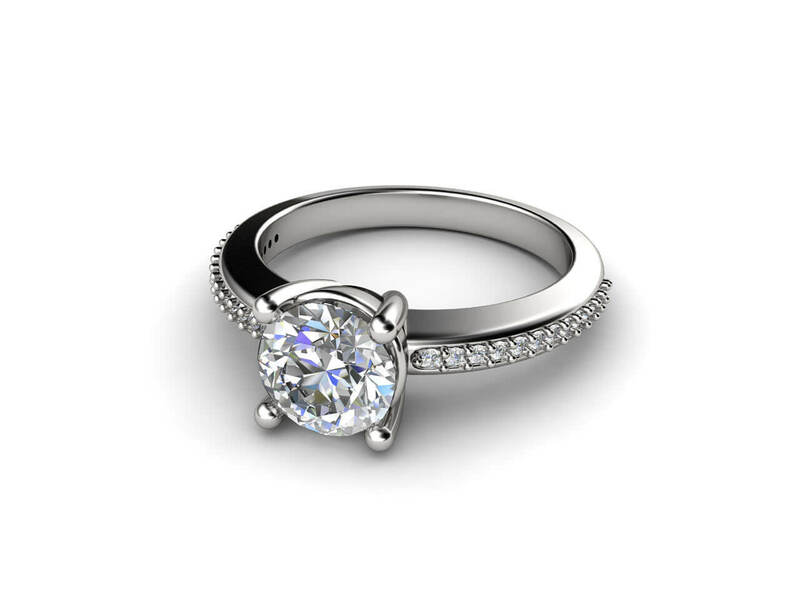 It can also be made in 18k yellow or rose gold band with white gold centre stone setting. 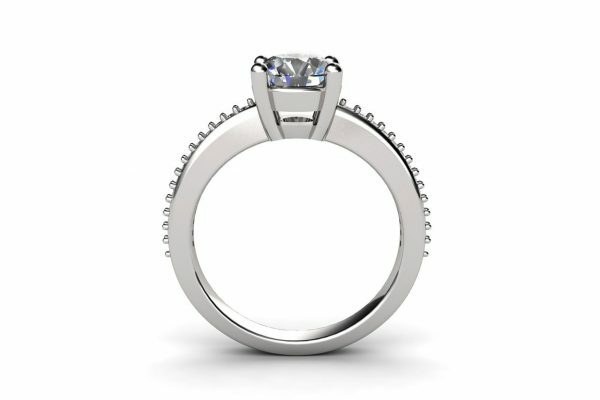 Weight side stones: 0.26ct aprox.